I've asked a few of my fellow crime writers to come up with their favourite crime reads of 2016 - not necessarily books written in 2016, but something that's made an impact on them recently. It's a bonus for me because they've all written books I've enjoyed this year, too, and it gives me a chance to revisit their fine work! 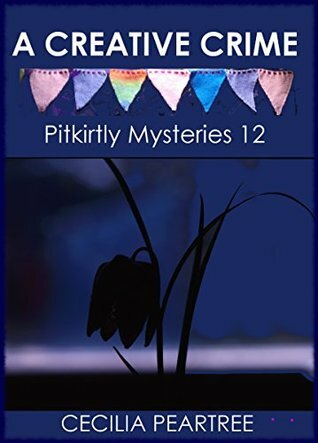 First comes Cecilia Peartree, author of the hilarious Pitkirtly series set in Fife and the exciting Quest series set in the 1950s. She's currently working on the fifth of these, A Quest in Berlin, and A Creative Crime was one of my favourite new reads of 2016. This may be a controversial choice but I've been enjoying the LJ Ross series with its north of England settings so one of my top three is Heavenfield. I think this is rather a flawed book, and quite slow to get started, but it does tie off some of the trailing loose ends left by the first two books in the series and so is a bit more satisfying. 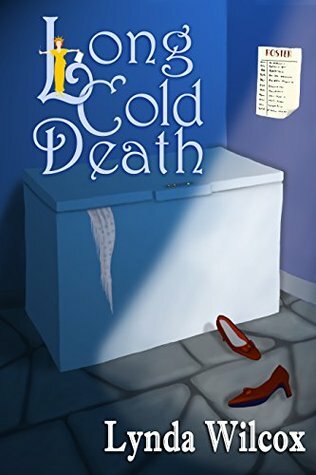 I'm always happy to see a new book in the Verity Long series by Lynda Wilcox - I have another one waiting to be read at the moment - so my next choice is Long Drive to Death. I like the fact that this novel puts Verity into a new situation which gives her more scope to investigate, while developing the existing characters too. My third choice and my favourite mystery of the year is Have His Carcase by Dorothy L.Sayers. Not a new release by any means, and I admit I actually decided to reread it as part of my research for my own novel because I remembered it included an excellent description of how to decode a particular cipher. However, once I started on it I realised what a great read it was, with the fascinating puzzle at its heart and the two central characters circling each other suspiciously. Well, I'm always delighted to see Dorothy L. Sayers brought back up to the surface! Thanks, Cecilia! 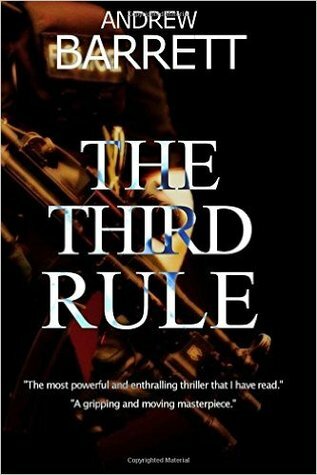 Next author is Andrew Barrett, author of The Third Rule books featuring Eddie Collins (I've just reviewed his Black by Rose) and The Dead trilogy. Andrew's a real-life Scene of Crime Officer so the detail in his books is fascinatingly realistic. Broken Dolls by James Carol. I enjoyed this book because it wasn’t at all pretentious. It had a new (to me) style of protagonist in Jefferson Winter. He’s hunting serial killers, and we’re led to believe he has a special insight into how their minds work because his own father was a serial killer. The story is good, but my favourite aspect of this book is the style. It’s very easy to read, beautifully constructed. A Reason to Kill, by Michael Kerr is another book I’d highly recommend. It’s the first of his DI Matt Barnes series, and it’s a cracker. This is a full novel that reads like a short story. It’s full of action, very little space given over to long passages of exposition. It’s not a story for those wanting a cozy; it’s a full-throttle book with nothing hidden by modesty. Again, the writing style is easy on the eye, and Matt is an engaging character who I found empathy with. And for something very different… Different in that I haven’t finished reading it yet! Cally Taylor’s The Missing. I have an inkling it will finish very well, but what hooked me about this book is the first person narrative. Cally has made it all look so damned easy. It reads like an old friend chatting to you, and the detail included is exceptional without dragging the story to a halt. I just know I’m going to have a book hangover when I’ve finished it. And me? What am I doing? Funny you should ask. I’m in the final throes of finishing an Eddie Collins novel entitled Ledston Luck. Surprisingly, Eddie gets into some rather hot water with his bosses, and while dodging Professional Standards, he also finds himself dodging bullets too – more successfully than some of his colleagues. This has already been called my best book to date, and it delves into some harrowing lives along the way, arriving at an ending no one could foresee (hopefully!). I’ll release this over the next few months, along with a new Eddie short story, which is written in first person. Wear your stab vest while reading this one! Thank you, Andrew - looking forward to that. 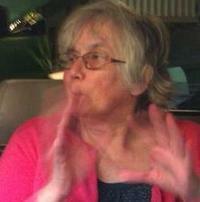 And finally by coincidence one of the writers mentioned by Cecilia above: Lynda Wilcox. I'm afraid to say that these days I'm not very eclectic in my choice of reading material - I never stray far from my beloved gentle whodunits. 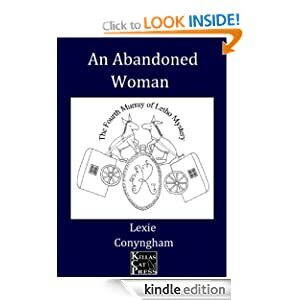 I enjoy historical mysteries as much as contemporary ones and this year discovered the excellent Captain Lacey Regency Mysteries by Ashley Gardner, the latest of which, The Alexandria Affair came out in May this year. I've also read the Crampton of the Chronicle mysteries by Peter Bartram. Set in Brighton in the early 1960s it follows the antics of Colin Crampton, chief crime reporter for the Chronicle Newspaper. Told from Colin's point of view, it contains lots of wry humour and paints an accurate picture of the times. Having lived through those times myself, I appreciated the mentions of long forgotten car models, drinks (a pint of Double Diamond), and so on. Highly recommended. Finally, the books I have loved the most this year have been Australian author Kerry Greenwood's Miss Fisher Mysteries. Set in Melbourne in the 1920s, the Honourable Phryne Fisher is a heroine like no other - feisty, wealthy, and lusty - she takes on the criminals with intelligence, a sharp wit, and a pearl-handled revolver in her garter. For all that they deal in subjects I wouldn't normally go near with a barge pole - drug smuggling, white slavery, abortion rackets - these books are a total delight. I'm in love with the delectable Phryne and have read all but one of the series so far. I'm saving the last, Murder and Mendelssohn (published 2013), for a special treat, and praying there will be more soon. And what are you up to just now, Lynda? Thanks to all the contributors - no excuse for a murder-free Christmas now!